U.S. plans to store heavy weapons in Eastern Europe for first time since Cold War. The Pentagon building in Washington, D.C. on Dec. 26, 2011. 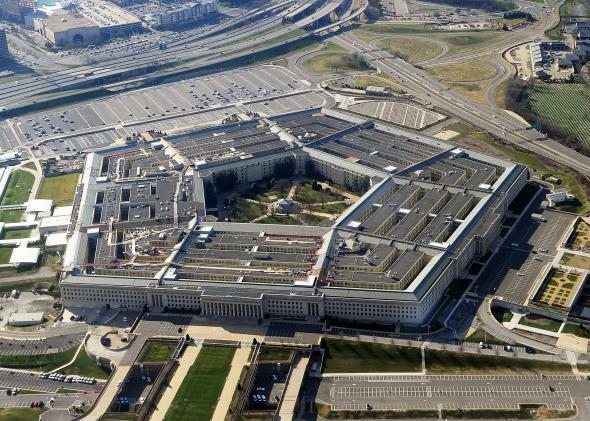 The Pentagon is considering a plan to store heavy weapons and equipment in Eastern Europe to reassure allies that Washington has their backs in case of Russian aggression. The equipment, which would include battle tanks and other heavy weapons could supply as many as 5,000 American troops in several Baltic and Eastern European countries. These would represent “a very meaningful shift in policy,” James G. Stavridis, a retired admiral and the former supreme allied commander of NATO, tells the New York Times. Preliminary plans would call for a company’s worth of equipment, or enough for around 150 soldiers, to be stored in Lithuania, Latvia, and Estonia. Enough equipment for around 750 soldiers would be stored in Poland, Romania, Bulgaria, and maybe Hungary. Although the amount of equipment is small compared to what Russia could quickly put together to threaten NATO nations, “it would serve as a credible sign of American commitment, acting as a deterrent the way that the Berlin Brigade did after the Berlin Wall crisis in 1961,” notes the Times.